The Spotlight this week in Jamaica has been focused fully on Buju Banton , the iconic Rasta reggae singer and four-time Grammy nominee who found himself on trial in the USA for conspiracy to sell cocaine. Nothing has so captured public attention this week as the Buju Banton case, even though in the same week dancehall DJ Bounty Killa was arrested and jailed for domestic abuse. From the trial began on September 20, it has been the main topic of conversation in Jamaica, with discussions centering around the videotape of Buju ‘sampling’ the product to be sold, and tape recordings of phone conversations with two alleged co-conspirators as convincing evidence of his guilt. But no less compelling is the evidence that the case was set up by a professional entrapper who earns a good living from US government crime agencies to set traps such as the one Buju was caught in. LONG WAIT FOR TRIAL Ten months ago, when Buju Banton was arrested and incarcerted in Miami, the news had only shock value and soon fell off the public view, as Buju has been known to be controversial. He spoke out angrily when he was arrested and convicted for two ganja plants that were found growing in the yard of his large studio compound – a conviction that deprived him of a US Visa for several years. But as the length of his imprisonment without trial extended far beyond the norm into 10 months, Jamaicans and reggae fans began to question whether there was something ‘different’ about this case. After all, we know the history of Buju’s controversial song that brought him powerful opponents who might be happy to have that voice silenced by a long jail sentence. 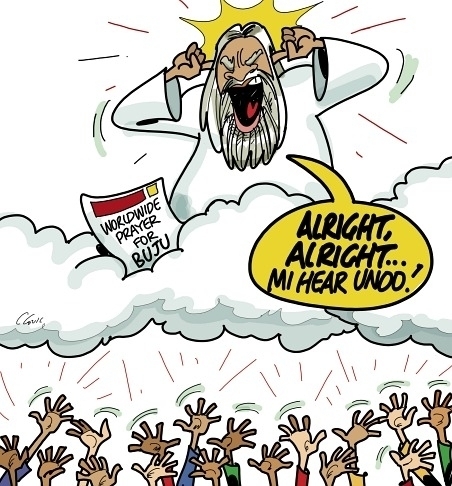 So by the time the trial began on Monday September 20, everyone was interested in Buju’s fate and – perhaps better late than never – had begun to pay tribute to the work and life of one of Reggae’s most beloved performers. Watching Buju’s appearance in the courtroom on the first day of the trial crisply dressed in suit and tie, the full weight of what faced him seemed to fall on Jamaica’s shoulders and – with an attitude of “He’s ours, no matter what” – Jamaica started paying tribute to Buju Banton. 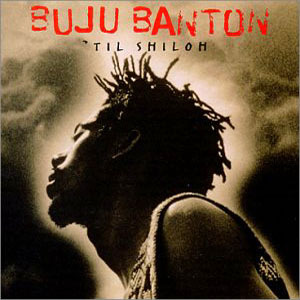 TILL SHILOH We remembered the Buju who seemed to be maturing from his brash and outlandish youth when he produced the seminal “Till Shiloh” album which brought a new generation of the conscious Rasta music that Bob Marley had given us. 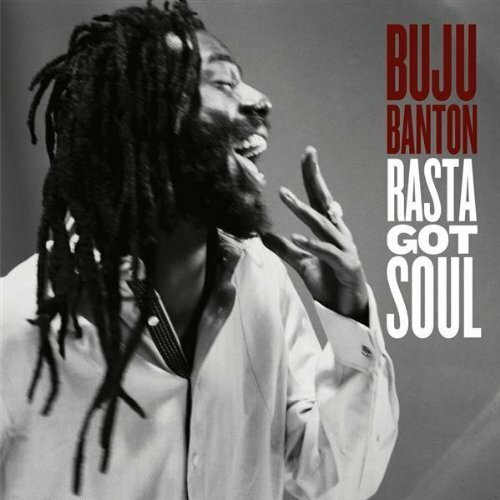 The album introduced and confirmed Buju Banton as a Rasta psalmist, leaving behind his earlier works and youthful indiscretions. DRIVER On Monday, the day the verdict was to be delivered, another daily newspaper published the lyrics of Buju’s hit “Driver”, in which Buju tells a courier to take a package, collect some money and avoid getting caught by ‘the Feds’. The implication was clear. 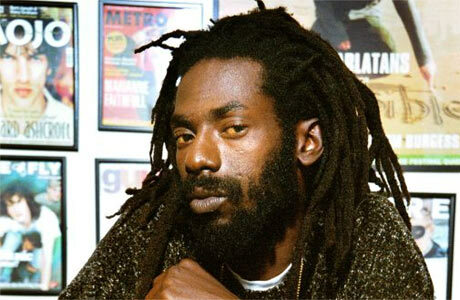 But all the negative comments were overbalanced by the outpouring of LOVE expressed nationally for Buju Banton. This was best demonstrated when a rumour on Friday morning that a “Not guilty” verdict had been delivered, caused the Downtown Kingston area to burst into celebration as happy as when Usain Bolt won his first Olympic Gold. Car horns were honked and people shouted for joy all over city and countryside – until word came that it was a false alarm and in fact the jury had retired to reconvene on Monday. TRIBUTE TO A REGGAE ICON On Friday night Anthony Miller, Jamaica’s best entertainment journalist, used his prime time Entertainment Report to package a series of interviews he has done with the Gargamel from his early pre-dreadlocks years to the release of his “Rasta Got Soul” album showing the history and talent of this extraordinary artist. Avoiding much attention on the notorious song that haunts Buju’s repertoire, Miller instead showed an artist whose energy, philosophy and attitude reminds so much of the late Peter Tosh – another artist who was not afraid to speak his mind. On Monday morning several FaceBook pages carried a link to this video of one of Buju’s songs that ironically seems to have been written specially for this occasion. MISTRIAL VERDICT On Monday afternoon the Judge declared a mistrial, and Jamaica was glad that Buju Banton’s fate is not yet sealed, hoping he will be allowed out of jail on bail. “It’s better a mistrial than a guilty verdict. 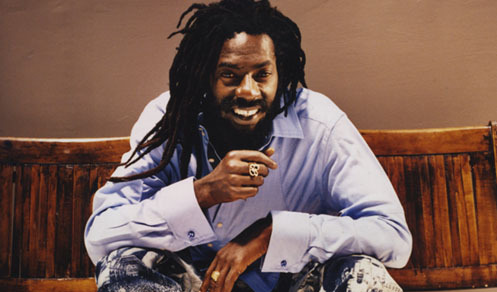 At least he gets a second chance,” said Buju’s mentor and former manager, producer Donovan Germain. Jamaica is glad our Prayers were answered, thanking JAH for small mercies. One day things must get better. Another Jamaican reggae film has surfaced to welcome appreciation from reggae lovers worldwide. This is JAMDOWN, described as a ‘musical journey to the 1980s” that highlights the music of The Congos – a much-praised but nearly-forgotten group that emerged when reggae made its first international breakthrough. 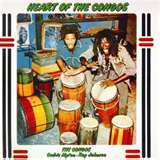 The Congos were 1970s recording artists signed to Island Records whose first album ‘Heart of the Congos’ has been hailed as one of reggae’s greatest musical collections. Some say the excellence of the Congos music caused Blackwell to sideline them and their musical output, fearing they would overtake Marley’s popularity. Sad to say, the Congos’ international success came late, but better late than never. Now the release of “JAMDOWN” a documentary film about the Congos revives the history and music of this original roots reggae group and re-introduces them to a new and welcoming audience. “JAMDOWN’ takes viewers on a journey back to 1980, straight into the heart of the Jamaican reggae scene, following legendary Reggae artists Toots Hibbert and The Congo’s. Shot in 1980, the film had a limited release in France and therefore remained undiscovered by the rest of the world. Since it’s initial release almost 30 years ago ‘JAMDOWN’ has become what reggae footage collectors often refer to as “the holy grail of reggae films” due to it’s rarity and difficulty in finding an original copy of the film. For the first time in almost 30 years this film has now been made available to own on DVD by Reggae Films UK, the online marketplace and archive of reggae films. The film contains some of the only known early footage of The Congos, performing tracks from their legendary ‘Heart Of The Congo’s’ LP produced by Lee ‘Scratch’ Perry at the Black Ark studios at the height of their career. 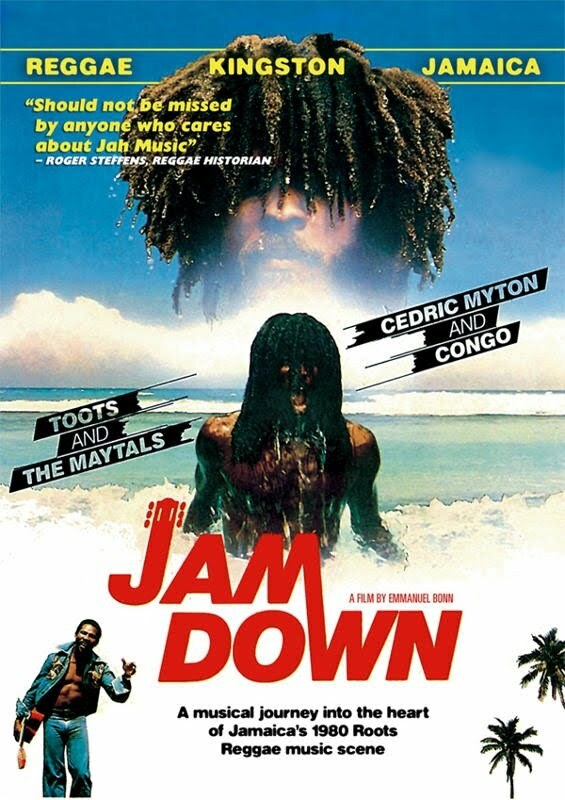 JAMDOWN contains some of the most electrifying live reggae footage to have ever been captured on film, and viewers are sure to enjoy this legendary film as much as we do. Manifesto JA is a non-profit organization dedicated to youth empowerment and nation building through the Arts and Culture. 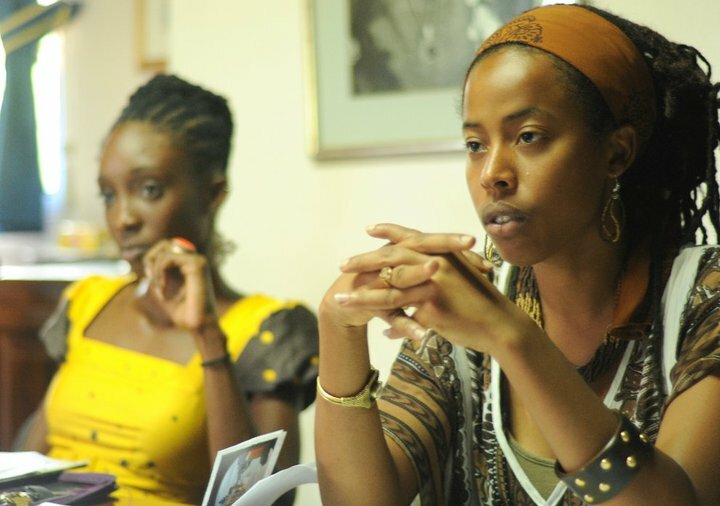 The executive board of vibrant young people includes film maker Donisha Marley Prendergast and entertainment planner Lesley Ann Welsh, and combines the energies of an active group of young Jamaicans – all below 30-years-old – making it what they describe as a truly ‘for youth, by youth’ initiative. The Manifesto Jamaica group decided that the best help they could give to empowering youth was to encourage their talents as performing artists and provide performance space for them, as well as providing the music industry with a new, younger crew of talented artists. Since its inception, Manifesto Jamaica has been providing interesting opportunitie for exposure for performing artists in theatre, music, dance, culinary, visual, spiritual, martial and literary arts. Their objective is to empower the youth and expose them to the arts as an option, instead of crime to earn a living. Targeting the inner city communities, they have held workshops in Greenwich Town and August Town and hope to take the programme further afield to the countryside. Recently they held three performance evenings on Friday nights at the popular Bookophilia uptown bookshop at which a number of artists have pleased the attending crowd with interesting performances. These have included unknown artists hoping to ‘buss’, as well as up-coming stars such as Protoje, the Nomadz band, and Kariuki. 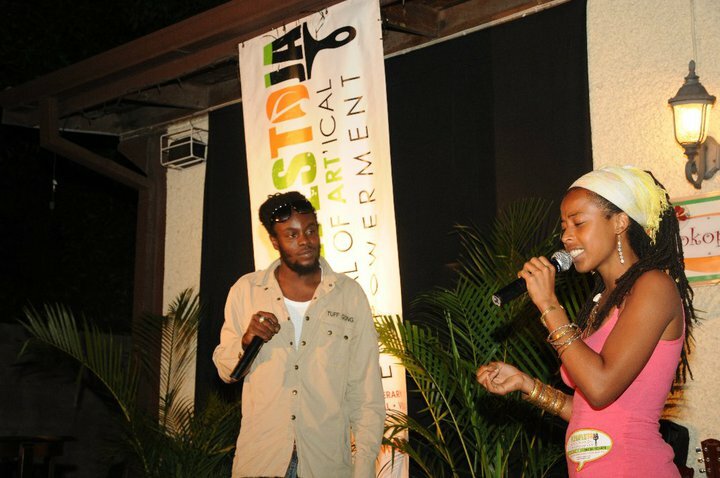 Most interesting performance on the final Friday came from St. Ann roots reggae artist Jabalance, who introduced Donisha Prendergast onstage to sing a duet with him. The song received such loud applause, that the two went into the studio a few days later and recorded it for future release. This project by Manifesto Jamaica is commendable, as it provides new ways for would-be artists to try out their performance skills and make new fans. Hopefully the ambitious objectves will bear fruit for the many performers taking advantage of this unique opportunity. The music industry needs this breath of fresh air. The acts by which We live and the attitudes by which We act must be clear beyond question. Let us be true to what We believe, that Our beliefs may serve and honour us. A new Jamaican film is set to do for Dancehall what THE HARDER THEY COME did to take Reggae to the world. A DANCE FOR GRACE, winner of the Reggae Film Festival Honour Award for Jamaican Feature Film announced it will premiere in November at Kingston’s Carib Cinema after a VIP Launch October 23. Already previewers have acclaimed this J-American look at the controversial music genre, saying it is a big screen showcase that highlights the dancers, the dance moves and the hit-making tunes that fuel its popularity and inspire its fans, while totally ignoring the negative associations. “A Dance For Grace” is a dance drama for all age groups with a primary focus on young adults between the ages of 13-35. the film tells the story of a group of teenagers from a small, rural town in Georgia who decide to enter a national dance contest in the hope of using the prize money to fund a life-saving operation for one of their town’s most beloved citizens—a woman named Grace. Their effort to save Grace leads the group of high schoolers to their Jamaican born dance teacher, Ricky Myers, a reformed drug dealer, who teaches them a Reggae Dancehall routine to enter the contest. To experience the culture and learn the dance firsthand, they all travel to the birthplace of Reggae: Jamaica! As the contest draws closer, Ricky’s past has caught up with him….. and the stakes get even higher. The once closely-knit community is in turmoil! The dance is now on…but will they win and save Grace?!!! The groups arrival and presence in Jamaica is recorded by scenes of their visits to noted attractions and beauty spots, and lessons on Jamaican history and culture. 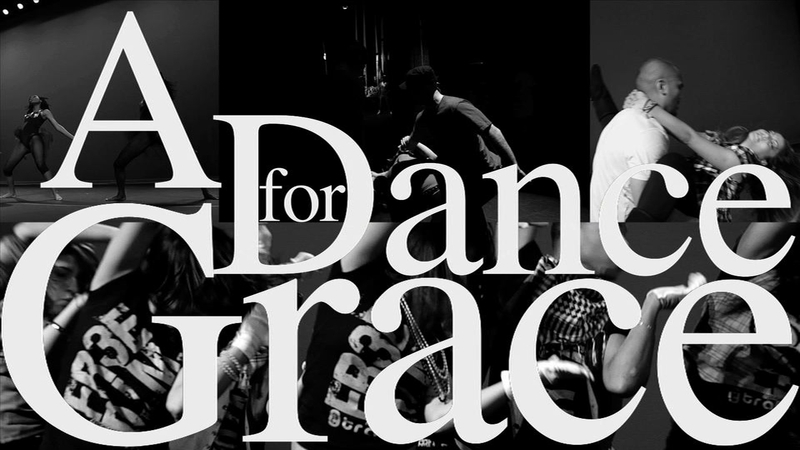 But the most important Jamaican scenes of A DANCE FOR GRACE are set in the midnight world of dancehall, filmed at Passa Passa and other venues where dance crews perform their synchronized routines, competing with other crews for the video spotlight. The action of these scenes is well edited to the pulsing beat of Dancehall artists including Erup, Ding Dong and DeMarco, with several songs written specially for the film. The film also features scenes from the US dance competition of several dances by the group, as well as routines from other competing teams. Filmed in the USA and Jamaica, A DANCE FOR GRACE is written by Jamaican Junior Powell and produced by Tower Isle Productions. Co producers are Orville Matherson, who also plays “Ricky” the lead character, Joan Edwards, a Jamaican corporate finance manager and Dale Foti, US co-producer. In addition to winning awards at February’s Reggae Film Festival where the film also won the Honour Award for Actor Orville Matherson, the film won the Silver Ace Award at the Las Vegas Film Festival 2010 and has premiered at the New York International Film & Video Festival and the Belize International Film Festival and the European Film Market, Berlin. With plans to promote the film pre-release at upcoming dancehall events with prizes and giveaways, plus a VIP launch featuring a guest list of dancehall celebrities and dance crews, the film is certain to capture the attention of music fans in Jamaica and do a great job of promoting the musical genre globally. 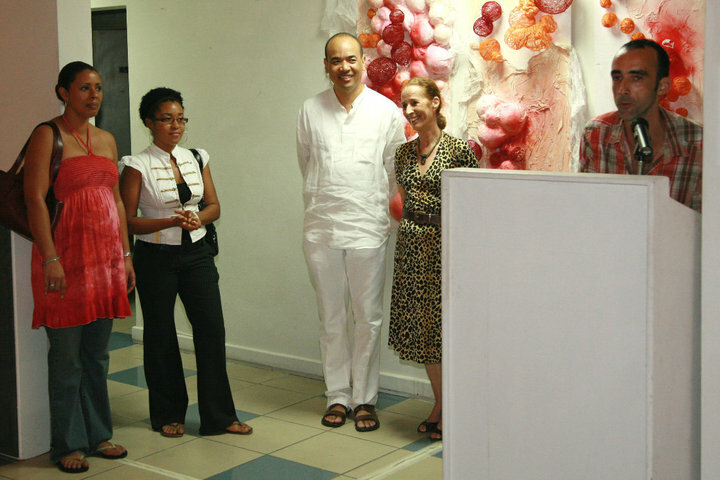 A sedate gallery of art lovers gathered last Tuesday at the Mutual Gallery, New Kingston for the announcement of the winner of the 2010 SuperPlus Under 40 Artist of the Year Competition. Works by the three finalists adorned the gallery walls, each artist presenting works contrastingly different from the others. 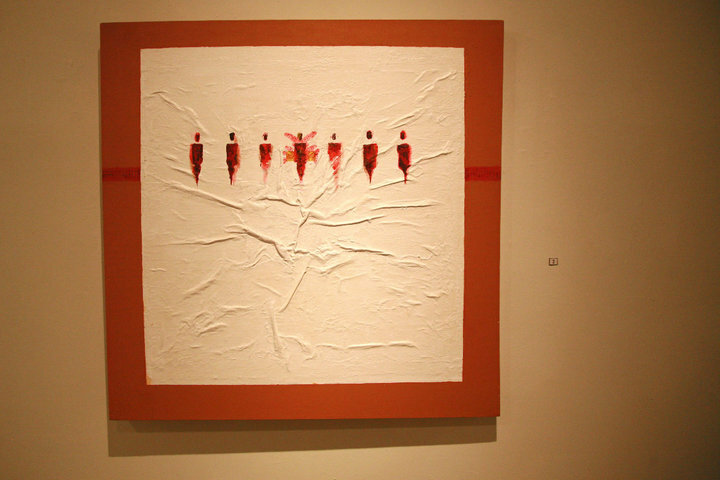 Tricia Gordon-Johnston’s mixed media on canvas collection featured simplicity, embellished with visions of butterflies. 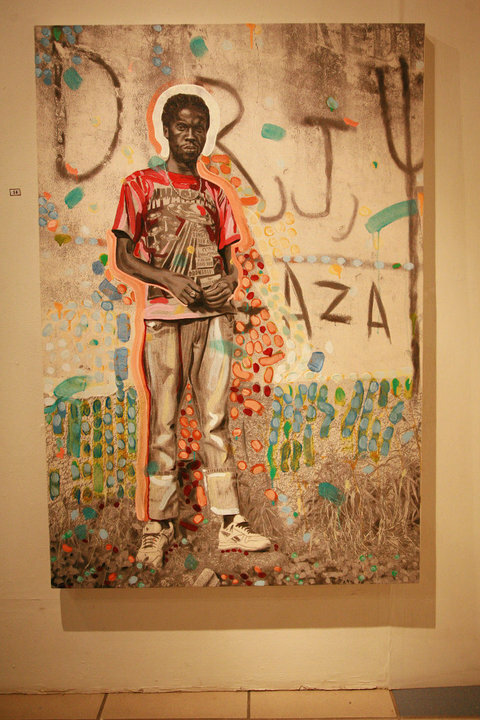 Gerard Hanson’s large portraits featured photo reproductions overlaid with bright acrylic colours. Monique Lofters awed the viewers with her painstakingly made soft balloons of cotton and foam gathered into huge sculptures which, she informed, indicated human cells and reproduction. Sadly, there can be only one winner, which this year was Gerard Hanson winning not only the Jury Prize but also the Public Prize voted by visitors to the gallery in previous weeks of the exhibition – a phenomenon that occurred only once before in the competition’s 10 year history. Congratulations are due to Gerard Hanson on his achievement in a particularly competitive year and a very close finish. I also wish to congratulate National Gallery Chairman Wayne Chen of SuperPlus for his continued support and encouragement of Jamaica’s young artists and the creative arts in general, who suggested at the award ceremony that the development of community art centers and workshops would be a good way to use art to inspire inner-city residents and engage their creativity for new avenues of socialization. Led by the Jolly Boys summer tour of Europe, Mento music is making a comeback. The indigenous Jamaican form of calypso used to be the primary entertainment at Jamaica’s North Coast hotels in the 50s and 60s, where the lament of the “Yellow Bird” whose mate has left her nest again, and Harry Belafonte’s “Jamaica Farewell” were the hit songs of the time. Tourists were pleased to be entertained by songs, especially the naughty ones like “The Big Bamboo”. A true African retention, mento combined ancestral rhythms with melodies of colonial culture and in the early 20th Century was a popular feature of weddings, holidays and village fairs. But by the 60s when jazz, big band and rock and roll became popular, mento faded and by the 70s ‘Yellow Bird” had been replaced by the international impact and appeal of reggae’s “One Love”. As mento’s popularity faded and the musicians aged, the music virtually disappeared from the entertainment scene, preserved by a few as a memento of a bygone age. That is, until Portland’s Jolly Boys were reunited, revived, repackaged and re-presented to an enthusiastic and welcoming audience at a Red Bones Blues Cafe showcase launch in July. With the sounds of a standing ovation ringing in their ears, the Jolly boys embarked on a European tour that has taken them to stages all over the United Kingdom and Europe, and garnered them radio and TV interviews with leading newspapers such as the Guardian, New York Times, BBC-TV/Radio, and ITV. Among their many performances have been the Wild At Heart concert, East Sussex; the Isle of Wight Bestival, But their greatest impact was at the Notting Hill Carnival where old and young revelers smiled and danced at the old time music sounds and especially their new hit version of Amy Winehouse’s ‘Rehab” that has become their signature single. 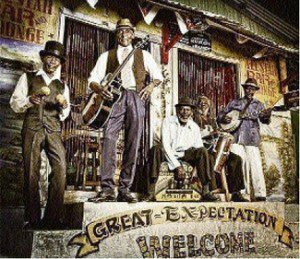 Describing their music as “Jamaican Mento meets Modern Contemporary” the Jolly Boys new album “GREAT EXPECTATIONS” is out today and fans can hardly wait to order online. Congrats on the success, Jolly Boys, and especially to the man who put it all together, music producer and hotelier GeeJam’s Jon Baker. As we drove in through this splendid and beautiful city this evening, we saw something of the face of modern Ethiopia; a shining example of peaceful and purposeful progress achieved under the enlightened leadership of Your Imperial Majesty. Three Jamaican films take the spotlight this week, as the growth of the Jamaican film industry blossoms and more attention is being given to locally produced films than US blockbusters. 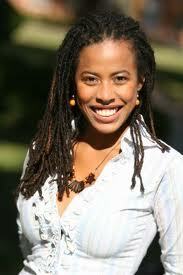 Donisha Prendergast, daughter of Rita Marley’s first daughter Sharon, was born after Bob Marley died and though she grew up in the Marley family household, was not brought up as a Rasta. Now in her early 20s, Donisha decided to embark on a journey of discovery to find her Rasta roots and to document the process on film, travelling to several locations to learn about Rastafari – the movement that inspired Bob Marley to write his most powerful songs. 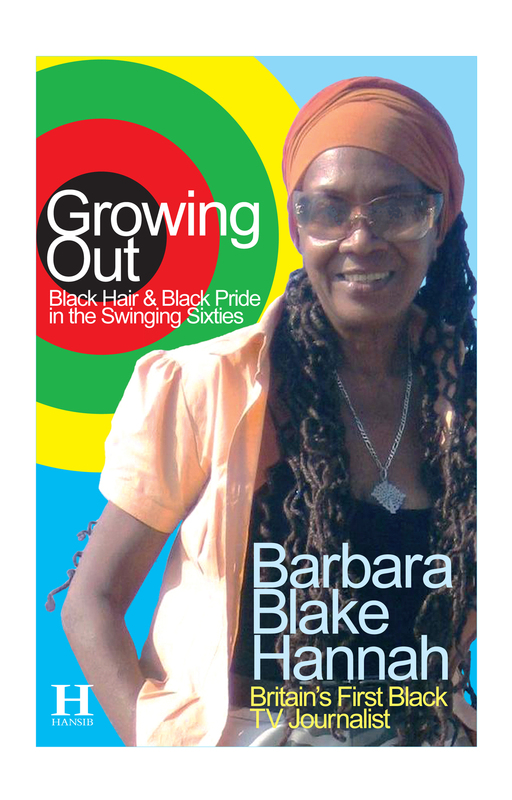 The journey has taken her around the world, filming interviews in all five continents with special emphasis on those Rastafarians who can teach her all she wants to know about the movement. The film will feature interviews with some of today’s most celebrated reggae artists, Rastafarians and academics who have studied the Rastafarian movement, as well as interviews with ‘reggae royalty’ Damian Marley and Tarrus Riley. 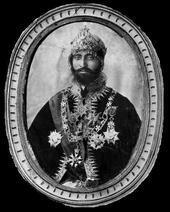 Phase one of the documentary was completed earlier this year with a shoot in Washington, D.C., where Prendergast visited the DISCOVERING RASTAFARI exhibit at the Smithsonian Institute and interviewed custodian James Homiak. In August the production filmed interview with Rastafarians and scholars attending the UWI Rastafari Studies Conference. The third phase of the production continues in Canada, England and India, with editing scheduled to begin by November. 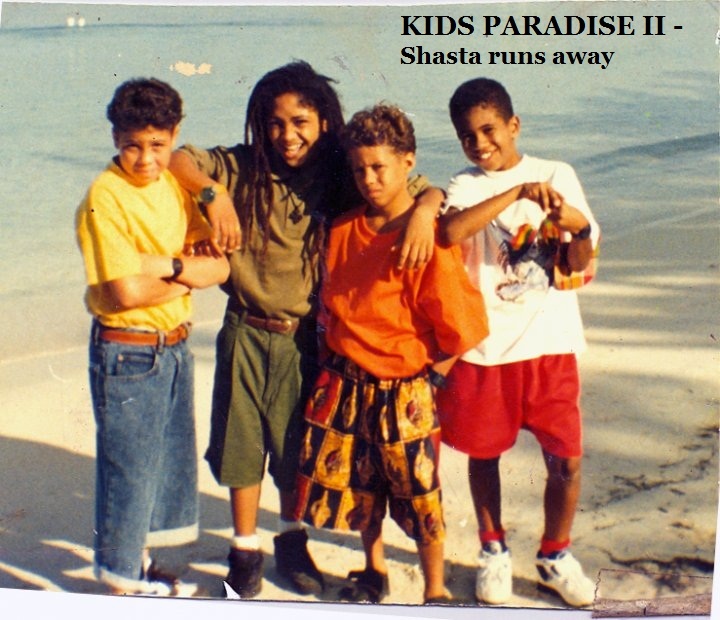 Many years ago, at the inspiration, urging and help of my then-7-year-old son Makonnen, I made a children’s TV movie KIDS PARADISE about four children vacationing on the North coast who find a treasure map. The film, starring Freddie McGregor, had some international success when we were invited to be special guests at the 1994 Chicago Childrens’ Film Festival and inspsired by this, we decided to make a sequel. While visiting friends in Negril, we met a family whose children were natural film stars and so we built the second KIDS PARADISE film around them. It was therefore my great pleasure to learn years later that being in this film had inspired the children Storm and Nile Saulter to pursue careers as film makers. After studying in the US and apprenticeships to such excellent film makers as Little ‘X’ and Hype Williams, both of them have been making short films, music videos and commercials that have brought them to national and international attention. Nile’s co-production with Joel Burke in THE CANDY STORE (a comedy set in the world of teenagers and raging hormones) is not yet released. However in October Storm’s major feature BETTA MUS’ COME will finally receive an official premiere and release. The story is set in the Manley 70s when the title was a popular political slogan, and shows the underworld life that supports politics of both sides and creates the social problems we know so well today. 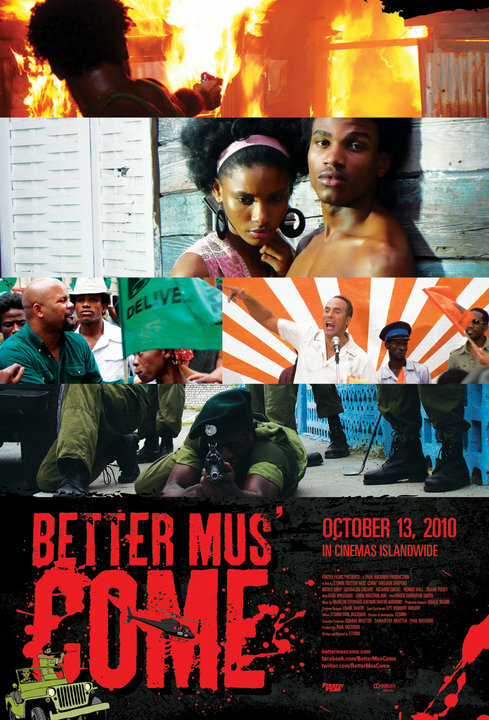 Under the guidance of British-Jamaican film producer Paul Bucknor, the film has had an interesting developmental life, first shown as an extended trailer that excited attention at the Flashpoint film festival held at their Negril hotel home, then a year later in Port Royal where it received acclaim from a select group of cineophiles. Then it was back to the editing room to fine tune the finished film, package the marketing and get a screening date. BETTA MUS’ COME opens in Kingston in October’s National Heroes Month when politicians and their heritage are among the icons being celebrated. Sheldon Shepherd of the innovative reggae group Nomadz, stars with support from noted American actor Roger Guenevere Smith. This film has potential to give the indigenous Jamaican film industry a major boost, especially internationally and I am personally proud to have had some small hand in making Storm and Nile Saulter the excellent film makers theyhave become. Chris Browne, Jamaica’s most experienced cinematographer and nephew of Perry Henzell has just wrapped up principal photography on his feature film GHETT’A LIFE, the screenplay for which won the 2006 Hartley Merrill International Screenplay award at the prestigious Cannes Film Festival in France. Chris is best known as director of THIRD WORLD COP, and worked on such jamaican feature films as DANCE HALL QUEEN, ONE LOVE and KLA$H, as well as being hired by several international productions filmed in Jamaica. GHETT’A LIFE, is described as an action packed drama that introduces newcomer Kevoy Burton as ‘Derrick’, a teenager from a politically divided inner city community, whose dream of becoming a great boxer unites those around him. ‘Derrick’s’ idol is boxing legend Lennox Lewis, who plays himself in a cameo role. In addition, the film boasts a cast of experienced Jamaican actors including Carl Davis, Chris McFarlane, Winston “Bello” Bell, Teddy Price, Munair Zacca and Jamaican born Canadian-based actress Karen Robinson. Emerging talent O’Daine Clarke, Kadeem Wilson and Lisa Williams also shine in leading roles, with local boxing luminaries Shrimpy Clarke and Carl Grant giving authenticity to the boxing background of the project, filmed in the inner-city communities of Rose Town, Craig Town, Allman Town, Grants Pen, Mountain View and South Side. The film was totally financed by Jamaican investors and producer Justine Henzell, continuing the film tradition set by her father, promises an early 2011 release to several international film festivals, (hopefully including the Reggae Film Festival) and a mid-year general release. This growth of Jamaican film industry is encouraging and will certainly inspire many of the young bloods experimenting with cameras and computers, to become more active in producing films of all kinds.